Published at 18/12/2014 11:17:45 from Argentina, 5562 visits. Gilera Giubileo 1962. 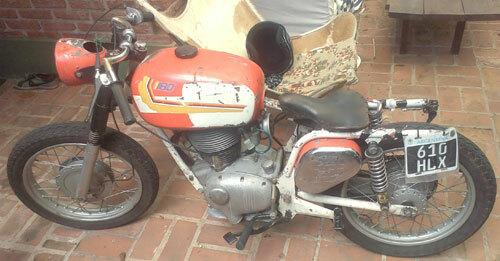 It has repaired and cleaned tank, replaced original carburetor, original exhaust, axle pegs new, very good covers. You have to make brakes, it has new lights lines but missing lights. I have the original mudguard. It is in San Isidro. It starts and works perfectly, clutch, transmission and box.